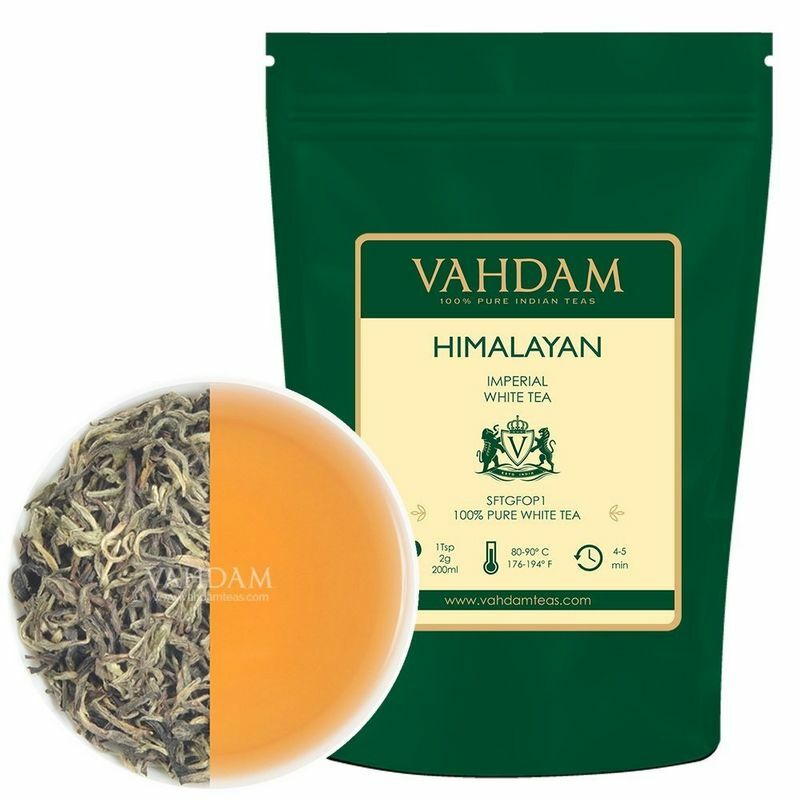 Vahdam Imperial White Tea is an excellent autumnal white tea harvested at the foothills of the Himalayas. Expertly blended by procuring fresh lightly oxidized teas from high mountain estates, the dazzling leaves brew a bright golden liquoring cuppa with a mellow and sweet flavour. A majestic teacup with a long sensational finish.